Inexpensive, clearly labelled buttons, works well. May be too small for larger households. The R272WM is essentially an entry level solo microwave, aimed at those looking for a cheap method of heating and cooking food. Finished in a white and black colour scheme, it doesn't so much have a designer feel to it, but more a functional layout. At just 20 litres, it's not the largest microwave, but with external dimensions of 43.9cm by 25.7cm by 35.8cm, it should fit in even the smallest of kitchens. The interior features a 25.5cm turntable, 20 litres of capacity, and measures 30.6cm by 20.8cm by 30.6cm. Overall weight is just under 11kg. In terms of features it provides 8 Auto Cook and Defrost functions, a child lock safety function as well as 11 different power levels. The controls are all pretty well labelled - the font is quite small but perfectly readable. 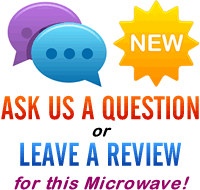 Our testers were positive about this model - it offers a lot of microwave for the money. It's probably not ideal for large families, but for those who are looking for an inexpensive solo microwave with a host of features, it will be ideal. 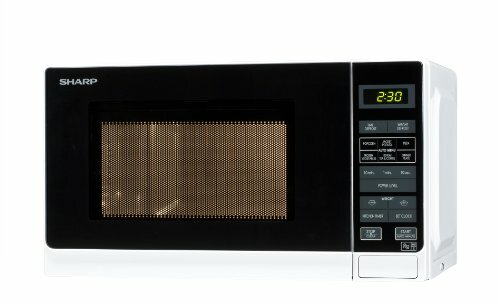 The R272WM from Sharp is a good value basic solo microwave oven, which is easy to operate and feels like it should provide years of service.